Every attorney probably has a definition for what they consider a Terrible, Horrible, No Good, Very Bad Opposing Counsel. But at Legal Language Services (LLS), we are continuously faced with one specific kind of opposing counsel. 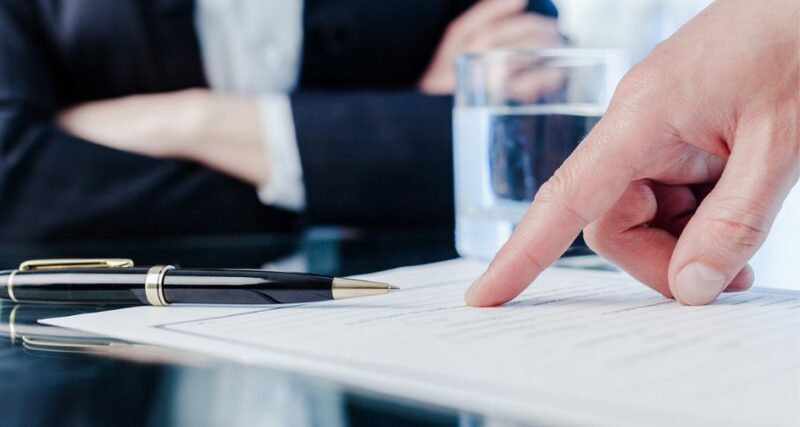 Typically, an attorney will call LLS for advice on how to take the deposition of an officer of the defendant corporation, who is located overseas. Such attorneys represent both plaintiffs and defendants. In another variation of this call, a defense attorney wants to know how to obtain documents from an overseas healthcare provider who treated a plaintiff who is alleging that they suffered harm due to medical malpractice or a products liability injury. In both cases, the evidence sought is in the custody, control, or position of a party to the litigation – and not a third-party to the litigation. But all of these calls are triggered by the same event: an opposing counsel is refusing to produce the defendant or cooperate with document production requests. The logic behind the opposing counsel’s position goes something like this: Since the witness is overseas, evidence must be taken pursuant to the Hague Evidence Convention (HEC) or a Letter Rogatory. How Do You Deal with a Difficult Opposing Counsel? Accordingly, the defendant manufacturer’s position was that the plaintiff was not entitled to take evidence in France. The Court went on to rule that the Hague Evidence Convention was not the preferred procedure for taking evidence, but rather it should be considered an alternative to the Federal Rules of Civil Procedure for taking evidence abroad. The Aérospatiale Court next addressed the issue of the blocking statute. The Court recognized that the blocking statute was a valid legislative act of a sovereign government and thus a comity analysis was appropriate. Based on prior case law concerning the taking of evidence abroad, the Court identified five factors to be applied in a comity analysis before a foreign country’s laws were enforced to deny a US party’s right to have access to overseas evidence. When granting the plaintiff’s motion for discovery in France, the Court observed that the blocking statute was just one non-dispositive factor for a court to consider in its comity analysis. Of the five Aérospatiale factors, the first three are case-specific, so further discussion of these factors is beyond the scope of this post. However, a number of cases have examined the fourth factor, the ability of alternative methods (e.g., the Hague Evidence Convention), to secure evidence abroad for use in US litigation. When comparing the Hague Evidence Convention to the Federal Rules of Civil Procedure for taking evidence abroad, a cost-benefit analysis is applied. Implicit in this cost-benefit analysis is consideration of the potential maximum value of the evidence to be obtained. The typical outcome of such analysis is to conclude that the taking of evidence under the Hague Evidence Convention is more time-consuming and expensive than under the Federal Rules of Civil Procedure. Courts have even justified the use of the Federal Rules of Civil Procedure in taking jurisdictional discovery evidence because it was a more time- and dollar-efficient method to take evidence abroad. The great efficiency of taking evidence under the Federal Rules of Civil Procedure is the reason why many courts consider “the burden of persuasion as to the optional use of the Convention procedures” to be with the proponent for the Hague Evidence Convention. In the 30 years since Aérospatiale was decided, the ability of a foreign blocking statute to frustrate discovery has been extensively litigated. In particular, many foreign defendants have filed motions to have evidence taken abroad under the Hague Evidence Convention rather than the Federal Rules of Civil Procedure so they gain the benefit of a blocking statute. For example, in a case where a German defendant declined to produce documents because of the German Blocking Statute’s penalties, the court ordered the documents produced because the defendant had failed to show he actually faced German Blocking Statute liability. However, a court’s ability to minimize the impact of blocking statutes on American litigants is not unlimited. Given the German Blocking Statute’s potential consequences to German defendants who violate the Federal Data Protection Act (BDSG), the Xarelto court was hesitant to apply the Aérospatiale’s five-factor analysis to waive away the enforcement of the BDSG. The Xarelto court recognized that the BDSG was broad enough to render even the in camera review of the defendant’s data to be a violation of German law. Still, the court ordered the production of a privilege log as a preliminary step to ordering document production. So what do you do the next time an opposing counsel refuses to produce an overseas party-witness(es) or documents in their possession, custody or control; i.e. when the evidence sought is controlled by a party to the litigation? File an Aérospatiale motion to compel production of the evidence. If the opposing counsel remains recalcitrant, there is a good chance they will appear unreasonable before the forum court. For good measure, ask that the opposing counsel cover the expense of obtaining the evidence under the HEC because they could have freely produced, or produced at little or no cost, the requested evidence. If you require assistance collecting evidence abroad, contact the professionals at Legal Language today. F.R.Civ.P. 30; Alcan Intern. v. S.A. Day Mfg., 176 F.R.D. 75, 78 (W.D.N.Y. 1996) (Rule 30 applies even if the deponent is located in another country); cf. Certain countries, e.g., Germany, have declarations and reservations of the HEC that compel the use of the Hague Evidence Convention when evidence is to be taken from their citizens. See https://www.hcch.net/en/instruments/conventions/status-table/?cid=82. Aérospatiale v. US District Court for the Southern District of Iowa, 482 U.S. 522 (1987). In re Activision Blizzard, 86 A. 3d 531, 541 (Del 2014). Blocking statutes are laws that prohibit the types of assistance that can be provided to a foreign tribunal. Benton Graphics v Uddeholm, 118 FRD 386 (DC NJ 1987). In re Air Cargo Shipping Servs. Antitrust Litig., 2010 WL 2976220, at *2 (E.D.N.Y. July 23, 2010). In re Vitamins Antitrust Litigation, 120 F. Supp. 2d 45, 54-55 (DC 2000). In Re Automotive Refinishing Paint Antitrust, 358 F. 3d 288, 305 (3rd Circuit 2004); cf. Hudson v Hermann Pfauter GmbH, 117 FRD 33 (ND NY 1987) (party opposing the use of the Hague Evidence Convention has the burden of proof for using the Federal Rules). Metso Minerals Industries v. Johnson Crushers International, Case No. 10-C-0951 (ED WI 2011); Richmark Corp. v. Timber Falling Consultants, 959 F.2d 1468 (1992). Autodesk v ZWCAD Software, Case No. 5:14-cv-01409-EJD (NDCA 2015). Ex-Im Bank of U.S. v. Asia Pulp & Paper Co., No. CIV.A. 03-08554, (S.D.N.Y. Apr. 17, 2009); Trueposition v LM Ericsson Telephone Company, No. 11-4574. (EDPA 2012) (same); In re Air Crash at Taipei, 211 F.R.D. 374 (D.Cal. 2002). AccessData Corp. v. Alste Tech. GMBH, 2010 WL 318477 (D. Utah Jan. 21, 2010); see also Strauss v. Credit Lyonnais, 249 F.R.D. 429, 454-56 (E.D.N.Y. 2008) (blocking statute did not pose a realistic threat of prosecution against a French company acting in compliance with routine U.S. litigation requests). In In Re: Xarelto, MDL No. 2592 (ED LA May 16, 2016). Aérospatiale and its progeny provide no authority for the taking of evidence form third-party overseas witnesses. Evidence from such third-party is always taken pursuant to the HEC or Letter Rogatory.